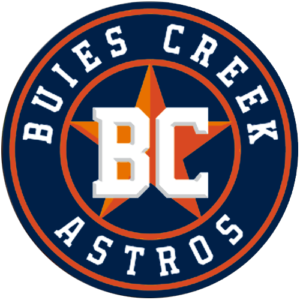 New branding for the current Buies Creek Astros (High A; Carolina League) is slated to be revealed this summer, ahead of the team’s 2019 move to a new Fayetteville ballpark. Construction continues on the Fayetteville ballpark, and it remains on schedule to open next year. The Astros, meanwhile, have been expected to unveil new branding ahead of the facility’s opening. Last summer, the team unveiled five finalists in a name the team contest for Fayetteville, with the candidates including Fatbacks, Fly Traps, Jumpers, Wood Dogs, and Woodpeckers. Five potential team nicknames were suggested in a contest conducted among fans and revealed last June. More than 1,400 entries were submitted with the five finalists being the Fatbacks, Fly Traps, Jumpers, Wood Dogs and Woodpeckers. Zarthar said the decision on the name is “still in flux″ as the organization evaluates how each possibility might work with team branding. Billed as the anchor of a larger downtown development project, the $37.8-million Fayetteville ballpark remains on schedule to open at the beginning of the 2019 season. In the meantime, the Astros will play their home games at Campbell University’s Jim Perry Stadium. The club played there in 2017 as well.